Artist Tony La Salle makes a second guest pizzaiolo appearance at Liberty Hall Pizza on October 18th for a night of gourmet wood-fired pizza and art, but this time, the event will benefit a local non-profit. Last year, La Salle celebrated his birthday at the Neapolitan pizzeria. This year, he will be crafting two original pizzas with a portion of sales donated to the Lambertville Area Education Foundation (LAEF). Tony’s “culinary” masterpieces will include: Mexican Chicken Mole Pizza with Queso Fresco and Fresh Cilantro; and a Three Cheese Pizza with Spinach Pesto and Herb. The party continues down the hall at Tony’s Lambertville studio located next to Liberty Hall. Guests will be treated to complimentary wine and cheese while viewing new artwork on display at La Salle’s gallery. La Salle decided to partner with LAEF, with 15% of the evening’s sales going to help the volunteer, non-profit organization. Created in 1992, LAEF supports numerous innovative programs in math, science, technology, literature and the arts at Lambertville Public School, Stockton Borough School, West Amwell Township Elementary School, and South Hunterdon Regional High School. The foundation has contributed nearly $250,000 in teacher-initiated grants that have gone directly to fostering creativity and promoting excellence in area classrooms. Collectors have described La Salle’s paintings as passionate, brilliantly colorful, soothing and joyful. Subjects include small stylized portraits and massive bountiful gardens. His works have been chosen for exhibitions at the Haverford School, the Main Line Arts Center, and Delaware Valley College. He has also received a commission to create a large canvas by Swarthmore College. His paintings have also been displayed in the Papagallo Gallery in Pittsburgh, PA, Chelsea32 Gallery in NY, Hrefna Jonsdottir Gallery in Lambertville, NJ and in numerous installations around the world. In addition to La Salle Gallery in Lambertville, NJ, Tony’s works can be purchased at 333 Belrose in Radnor, PA; Lilly’s on the Canal in Lambertville, NJ; Winnie’s LeBus in Manayunk, PA; and PEAC Fitness in Pennington, NJ. 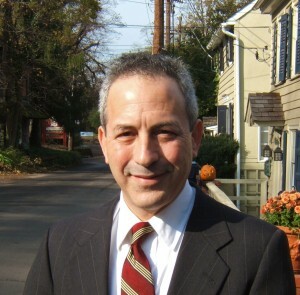 A professor on the faculty of Delaware Valley College and Delaware Valley University, Dr. La Salle maintains a studio in Lambertville, NJ. and “Art to Go” in Asbury Park, NJ. The entire Liberty Hall Pizza menu will also be available along with the guest chef’s pizzas. Opened in December 2014, Liberty Hall Pizza was named “one of the top 25 pizzerias in New Jersey” by Peter Genovese on NJ.com and recently listed as the 12th best restaurant in the state. The authentic Neapolitan pizzeria serves wood-fired pizzas along with garden-fresh salads and draught root beer floats. The pizzeria is open Tuesdays through Sundays for dinner and serves lunch on Saturdays and Sundays. Liberty Hall Pizza is located inside the Canal Studios Complex at 243 North Union Street in Lambertville, New Jersey. Learn more by visiting http://libertyhallpizza.com. For more on Tony La Salle, go to http://www.tonylasalle.com/. For ways to donate to LAEF, visit http://www.laef-for-the-kids.org/.